About the Book, which can be accessed here. Football is undoubtedly the sport with the largest following in the world, attracting billions of fans across the globe. These fans play an integral part in determining the identity of the football club they support. Many studies have focused on the intense rivalry between clubs, their fans and the opposing identities they represent. However, little attention has been paid to examples of cooperation between rival fans. This book is the first to explore antagonistic cooperation in football; the idea that rival fans can work together despite their animosity. 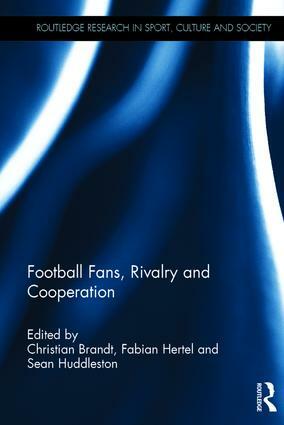 With examples from Argentina, Brazil, Germany, Mexico, Croatia, Poland, Turkey, Ukraine, the UK, the US and Zimbabwe, this book brings together case studies on rival fans working together and explores how and why such cooperation takes place. Showcasing original research from a team of international football scholars, it sheds new light on the social and political complexities of contemporary football fan culture. Football Fans, Rivalry and Cooperation is fascinating reading for anybody with an interest in football studies, the sociology of sport, sport and politics, or sport and social theory.